When Timnit Gebru attended a prestigious AI research conference last year, she counted 6 black people in the audience out of an estimated 8,500. And only one black woman: herself. Gebru is hardly a stranger to adversity. Originally from Ethiopia, she arrived in the United States at the age of 16 and was immediately confronted with racial prejudices. Teachers expected her to fail exams because she was a foreigner. A guidance counselor nearly convinced her she couldn’t win acceptance to any universities, even her safety school. Through perseverance and resilience, Gebru debunked these inaccurate predictions and thrived in her new country, landing employment as an engineer for Apple and advanced technical degrees from Stanford. AI researchers pride themselves on being rational and data-driven, but can be blind to issues such as racial or gender bias that aren’t always easy to capture with numbers. Homogenous thinking in the AI industry has implications far beyond the racial makeup of PhD programs and AI conference attendees. Gebru points out that AI powers high-stakes systems used to identify terrorists or predict criminal recidivism. Biases and oversights even bleed into the everyday technology we rely on. Recently, Sweeney, who is also Editor-In-Chief of Technology Science, reported that SAT test prep services charge zip codes with high proportions of Asian residents nearly double the average price, regardless of their actual income. “In the United States, price discrimination is illegal if based on race, religion, nationality, or gender,” her report states, but the enforcement of the law is challenging in online commerce where differential pricing is wrapped up in opaque algorithms. Biases of creators trickle down to their creations. Due to the exponential impact of technology, prioritizing diversity in AI is “even more important than in other fields,” cautions Gebru. To encourage networking and visibility, Gebru co-founded the social community Black In AI. The organization is on track to dramatically increase the participation of black researchers at notable AI conferences. She also returned to Ethiopia to co-teach a programming course called AddisCoder to a diverse range of children. Half of the students were female and all were from public schools. Some of them didn’t even know how to type when they started the class. Yet, the transformation was extraordinary. One of the students came from a family with financial hurdles that forced him to leave school, but successfully won admittance to Harvard, MIT, and Columbia after completing the AddisCoder program. The current anti-immigration sentiment does not help either. Rana el Kaliouby, an Egyptian-Muslim entrepreneur, completed a PhD at Cambridge University and post-doc work at MIT. She commercialized her research in emotional artificial intelligence into the company Affectiva, which has raised over $30 million in funding. “I woke up to the news about [Trump’s] immigration [order] and had this empty feeling in my stomach,” she shares in a heartfelt story for Inc, adding that “this melting pot of experiences, interests, educations, backgrounds and cultures makes the U.S. truly amazing.” Restricting borders directly excludes some of the world’s top AI researchers, which in turn limits the collaboration and innovation in the industry. Another issue lies in how we define “diversity.” Gebru points out that “when people talk about diversity in the tech industry, they’re often referring to including more women. But there are all types of women, such as women with disabilities, alternative sexualities, various races, and different socioeconomic backgrounds. If you only include women in the top 1%, that’s not helpful.” Ageism, classism, and many other prejudices hamper the professional growth of many qualified experts, yet don’t receive the attention that racism or sexism do. 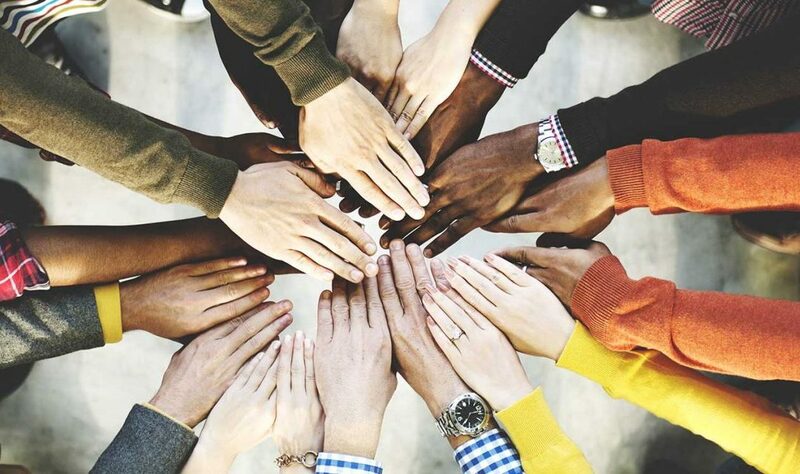 Plenty more challenges exist to make diversity and inclusion an uphill battle in the field of AI, but the obstacles don’t discourage brilliant minds from actively tackling these important issues. However, advocacy cannot solely be the responsibility of the excluded. Fundamental and lasting change can only arrive when technology creators and the public at large awaken to the dangers of exclusion and make inclusion a true priority.